In many industrial settings, there’s a lot of expensive equipment present that is exposed to rough conditions. Even a small flying bolt can spell the doom on a very expensive laptop sitting on a table several meters away. For that reason, investing in equipment protection cases should be something every contractor who owns any type of fragile equipment should highly consider. 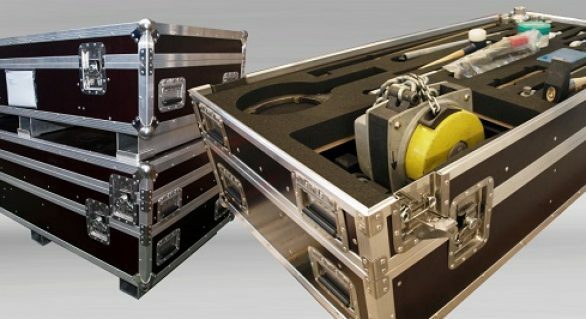 A case will not only protect your equipment on site, but during transport as well. However, you can’t just go into the first store and decide on the first case you see. Not all cases are meant for heavy duty protection. You should look for a hard case for sale that’s durable and made of sturdy materials which can withstand a lot of abuse. So where do you find the ideal hard case for sale? You have two options when it comes to shopping for a case – online and in-store. Looking to buy a hard case online has its benefits, most of which are obvious, but it also has some disadvantages that you’ll need to take into account. Online shopping usually involves an online financing option, like a PayPal account, credit card, or a checking account, which most people have nowadays. Furthermore, the internet allows you to look at every possible hard case model and make, from the comfort of your own home. You can find the best prices, and have the item delivered to your home. However, you might have to wait for the case to arrive for quite a while, depending on the shipping policies the site you’re shopping from has set. Most online Australian stores don’t take more than a week to ship nation-wide. Buying a hard case in-store is the easiest solution if you have cash, and it’s the best solution if you want the case immediately. However, you’ll have to know which stores stock which products before going there, if you want to avoid driving around the city for hours on end, going in and out a dozen different stores. Moreover, you get experienced employees in the stores, who may guide you through and give you their opinion, which might not always be an honest one, as they might be trying to sell you something that’s more expensive but not necessarily of better quality, so it’s always a good idea to do your research beforehand, and know what you’re looking for.